In the new Dubspot Radio Podcast, Detroit-rased, New York City-based DJ/producer Artem Emelianov a.k.a Mess Kid stopped by Dubspot NYC for a brief interview and an exclusive all vinyl DJ mix that covers a wide range of electronic dance music from rare underground club tracks and Detroit’s ghetto-tech classics to fresh and happening house and techno. 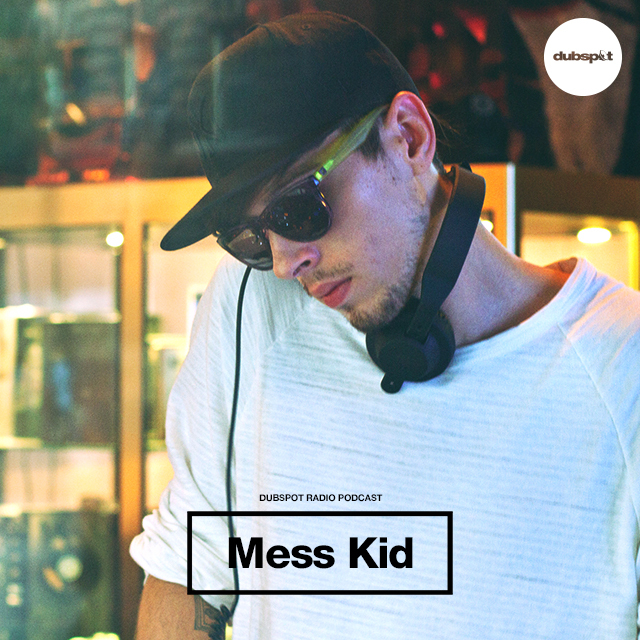 In today’s landscape of emerging and established DJs there are artists who are recognized for a specific style of mixing or become synonymous with a particular sound and then you have special artists that come along like Artem Emelianov better known as Mess Kid. Beyond flawlessly blending records from an eclectic mix of disparate genres, learned from early exposure to different music cultures as a child and later years of playing the New York club and underground party circuit Mess Kid has arguably become one of few new talents sitting on the cutting edge of progressive sound as both a DJ and Producer. The Detroit bred artist is a true DJ’s DJ and is among the rare breed of DJs who have perfected the art of capturing a mood and evolving it through a record selection that can send any dance floor into a tizzy. His sets represent the best of underground music and incorporate a bit of Detroit’s ghetto-tech vibe. His unique mixes, beats and regular presence on the music scene has enabled him to work with popular artists and creatives like Class Actress, IloveMakonnen, ASAP Ferg to designer Alexander Wang, Fashion Director Nicola Formichetti and M.I.A. Mess Kid also frequently collaborates with hip hop provocateur, Lelf, as both his producer and live DJ. Garnering an international fan base Mess Kid has performed on famed DJ shows Boiler Room, London’s Just Jam and the popular Paris show Infinity Overdrive. Brands have followed suit with admiration for Mess Kid’s distinctive sound and talent he has worked with fashion companies ranging from Diesel, Barneys, Balenciaga, Dior and DKNY. His press includes features in outlets like InterviewMag.com, Nylon.com, PAPER Magazine, Xlr8r.com and Vice among others. Mess Kid is completing his highly anticipated debut EP set to drop in the New Year. The EP will showcase the sonic underground world in which he has lived, featuring a total of 4 forward -thinking tracks. Combined with a U.S. promo tour, 2015 will establish Mess Kid as a musical force to be reckoned with. Keep up with Mess Kid on Soundcloud, Twitter, and Instagram.